It’s no secret that the Danes are stylish. Browsing Copenhagen rental apartments online feels like flipping through a design magazine, touring the city’s major buildings is akin to visiting an architecture museum, and walking the streets makes you wonder if you haven’t magically stumbled into The Sartorialist’s world, where everyone is beautiful and effortlessly stylish. 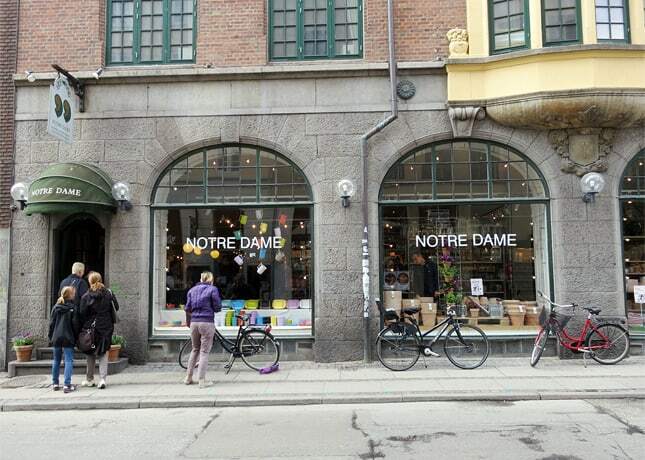 Wandering in Copenhagen, I paid close attention to the shops lining its streets and quickly discovered that current, modern design is widely available, at all price ranges. Quickly walk past the big American and European chains and you’ll find a plethora of local designer shops, vintage boutiques and gourmet food stores. 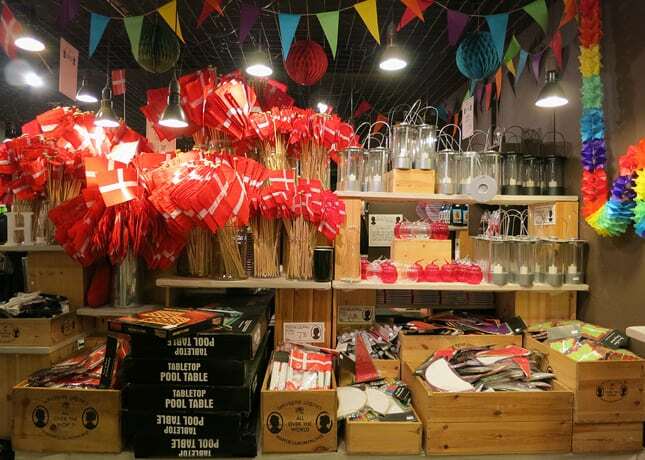 Large department stores also proudly stock local creations, so it’s very easy to find beautifully designed Danish souvenirs. 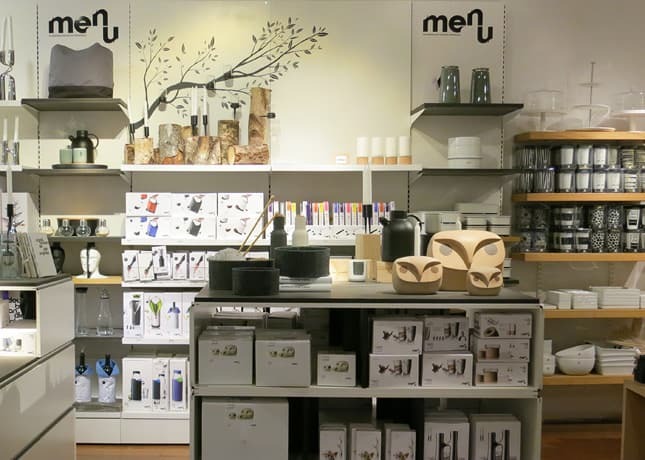 I was particularly blown away by Copenhagen’s kitchen/craft stores, where you could find a wide selection of carefully curated products like kitchen gadgets and accessories, craft and gift-wrapping materials, books, and even food and furniture in some cases. I could have easily spent hours in each of these stores, and the only thing that prevented me from over-spending was baggage allowance. 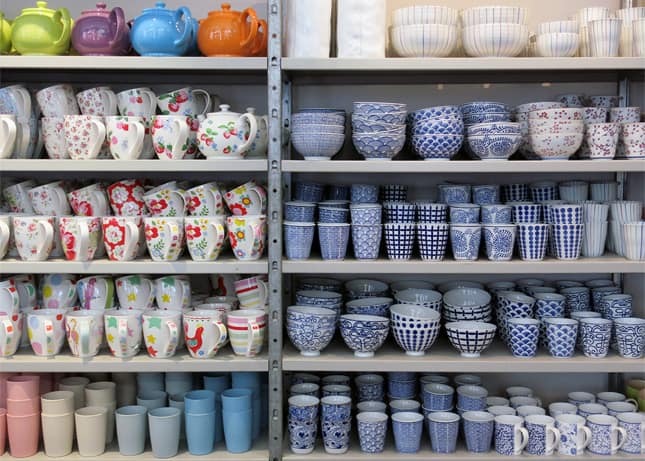 Here are the five kitchen/craft stores and markets I enjoyed the most in Copenhagen. 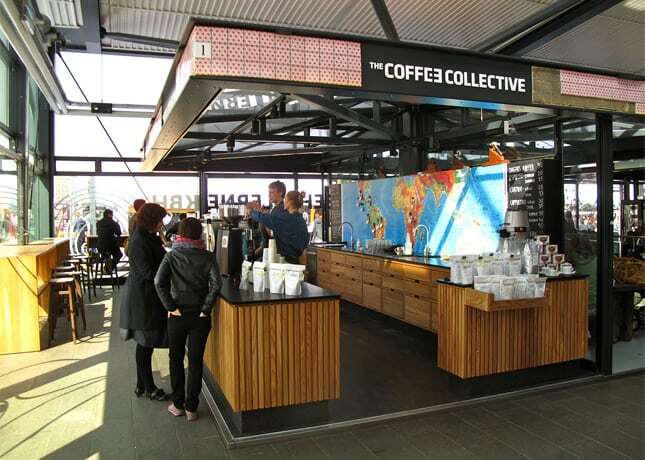 If you go, make sure you plan for ample time to visit each of them, as I’m pretty sure you’ll find all the beautiful gifts and souvenirs you ever dreamed you’d find in Denmark. 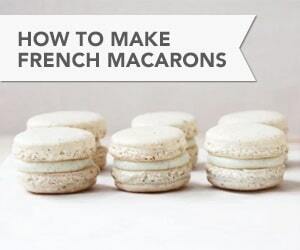 Who knows: maybe this will be your first step in becoming effortlessly stylish too. This store is a food blogger’s paradise: if it were close to home, it would be my only stop for props shopping. 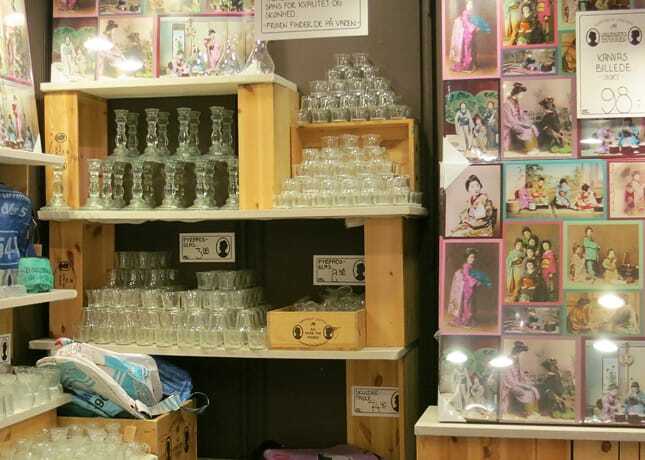 Notre Dame is a large space brimming with cute, individually sold bowls and plates, glasses and cups, cutlery and accessories. 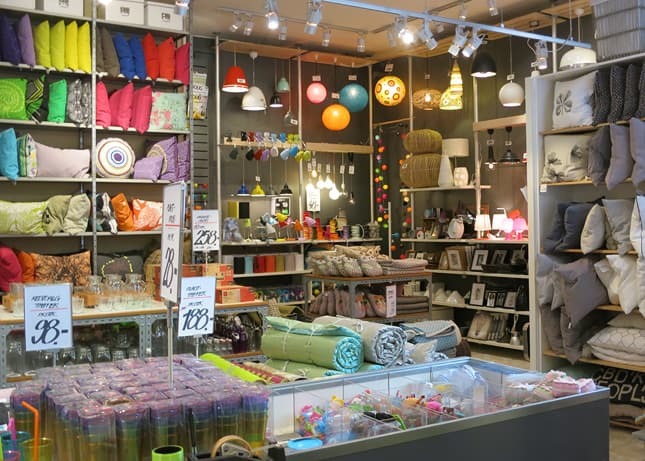 It’s also stocked with colorful seasonal items, gift-wrapping material and cards, and even lamps, throws and pillows. 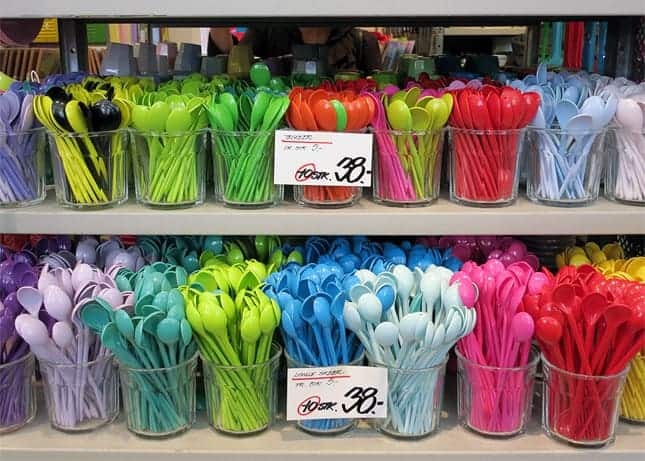 It’s a store that is so bright and fun that it makes you want to throw a party, now! This one was my favorite in the “everything under one roof” category. 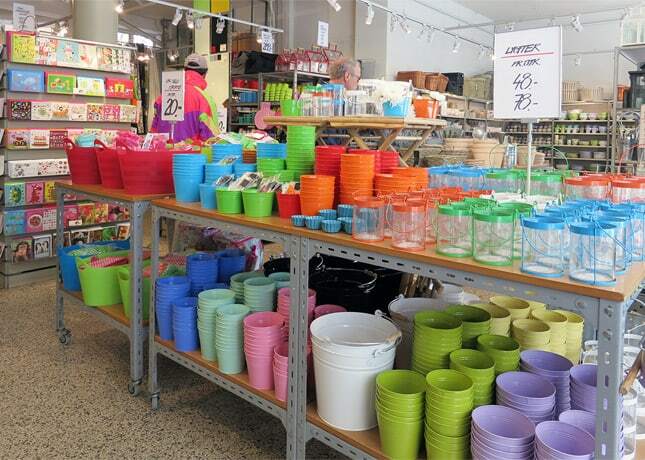 Just like Notre Dame, it features a wide range of flatware, drinkware, cutlery, and kitchen accessories, but it also sells party supplies like flags, disposable placemats and napkins, games, and small goodie-bag gifts. 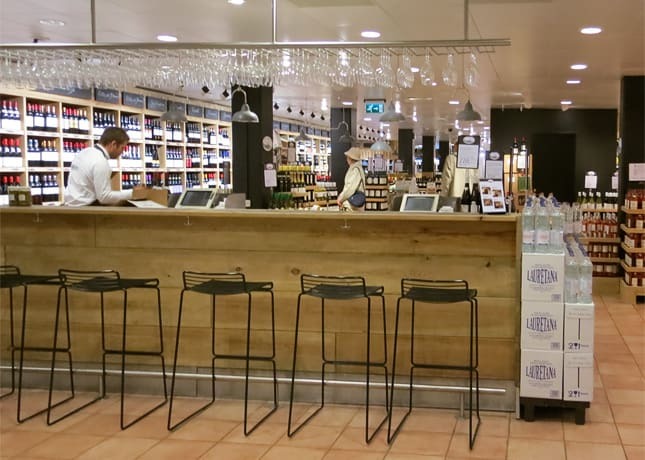 What further sets this establishment apart is that it also sells food from Denmark and around the world, and products look to have been chosen just as much for their taste as their visual interest (cool labels abound!). 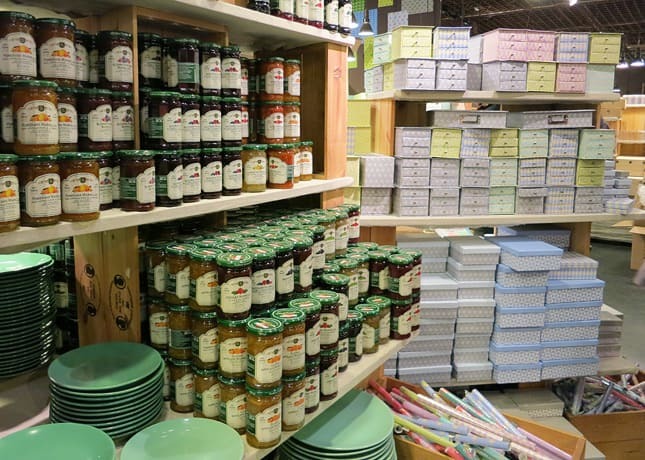 There’s an especially interesting selection of sweets (jams, cookies, and candies), so it’s the perfect place to stock up on Scandinavian treats. 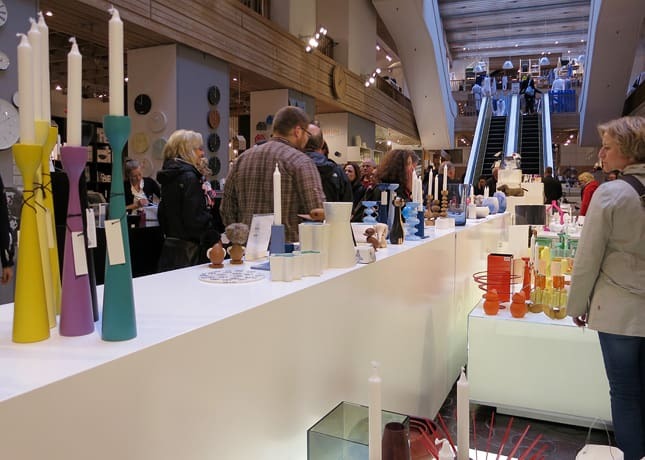 Certainly one of Copenhagen’s most elegant stores, Illums Bolighus could very well be dubbed a museum, as the best of Scandinavian design is on display there, from kitchen accessories and gadgets to toys and furniture. 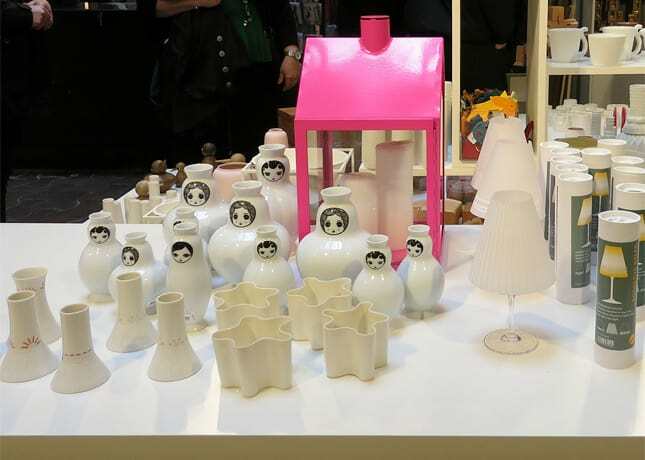 The entrance to the store features a long white “runway” on which objects are arranged by color or theme, like little vignettes. 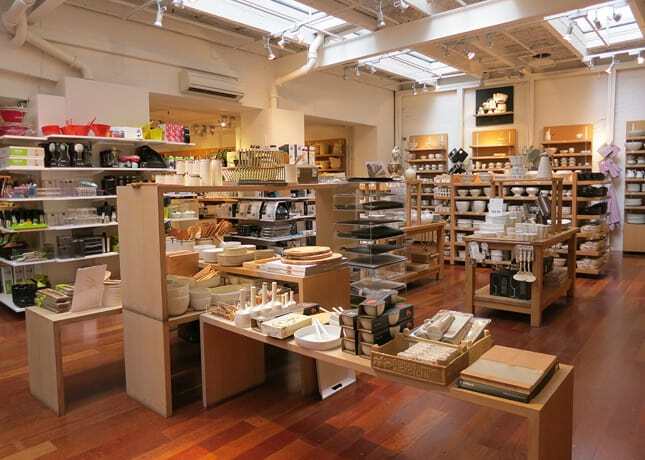 Although the store is super-elegant, there are options at all price ranges and there’s a well-stocked Sale section where I scored great finds, such as the famous Eva Solo teapot, at a fraction of their regular prices. I was also impressed by the jewelry and accessories section, which featured beautiful creations made with uncommon materials, such as Anna Black’s ceramic jewelry. 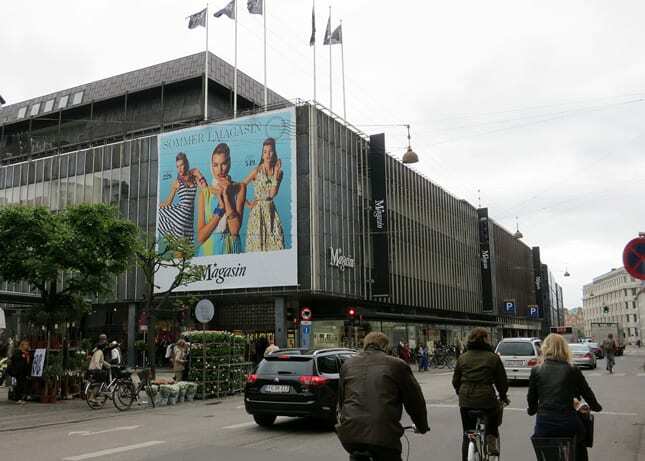 This department store is accessible straight from the Kongens Nytorv metro station in the very heart of the city. 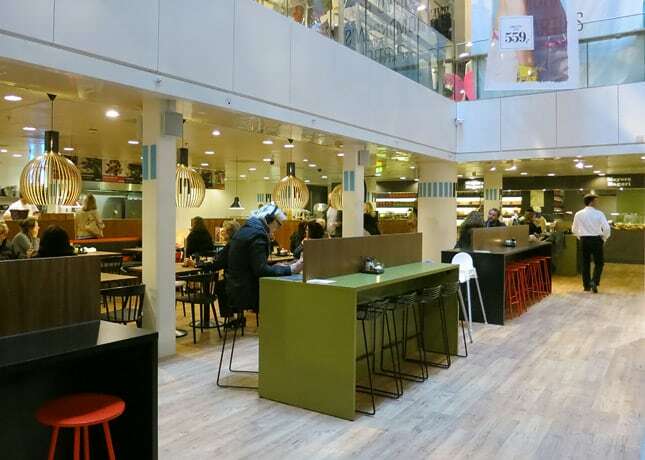 Its basement floor is laid out like a classic gourmet food hall, featuring fresh, seasonal produce, beautiful fish and meat sections, and rows and rows of gourmet local and imported products, pastries, sweets and wines, which makes it the perfect place to stock up for a picnic. 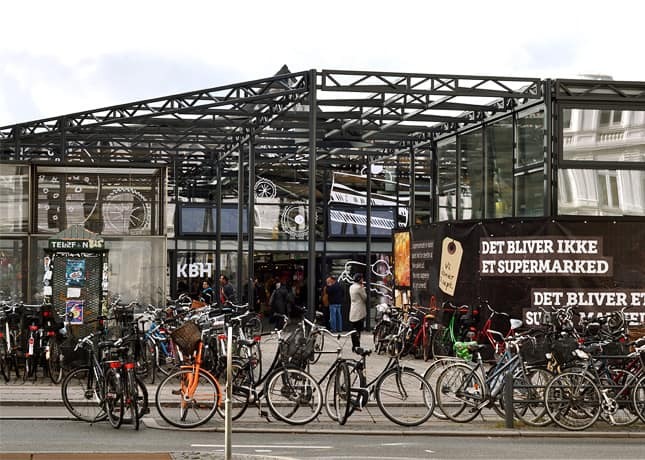 There are also kiosks of some of the city’s finest shops, allowing hungry customers to sample different Danish specialties all in one spot. The floor’s newspaper kiosk is also where you’ll find the city’s widest range of international magazines. If I have one regret about coming back from my trip to Copenhagen, it’s that I haven’t been able to fully enjoy the city’s brand new market place, Torvehallerne. 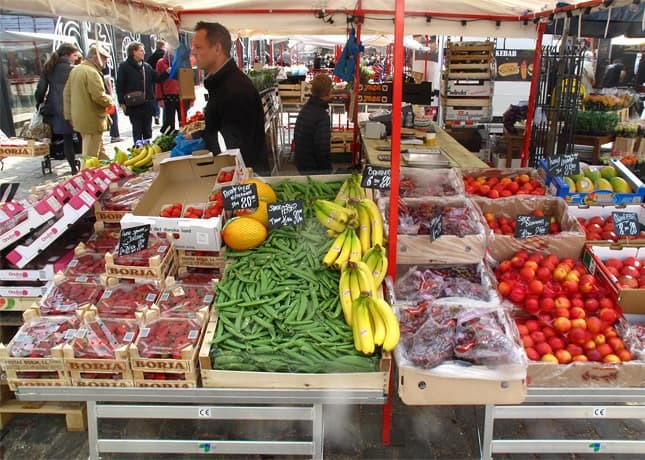 The day I planned to visit the market was a national holiday, and consequently I found the vast majority of the market’s 80 fine shops and restaurants closed. 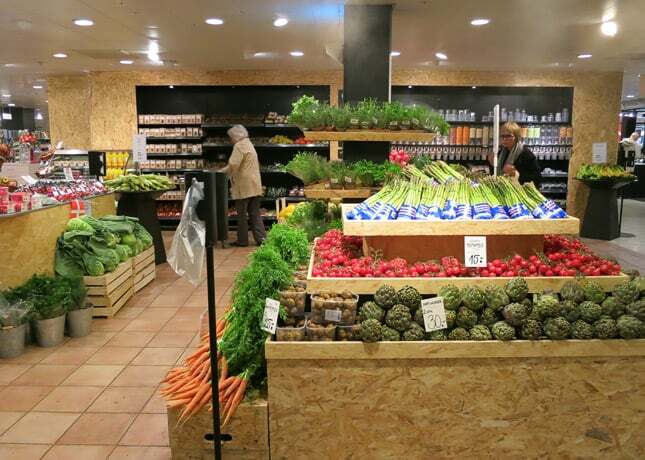 Opened a year ago on Israels Plads in the Nørreport neighborhood, it’s now Copenhagen’s biggest food market and it’s home to everything food-related, from fresh fish to fair-trade coffee. 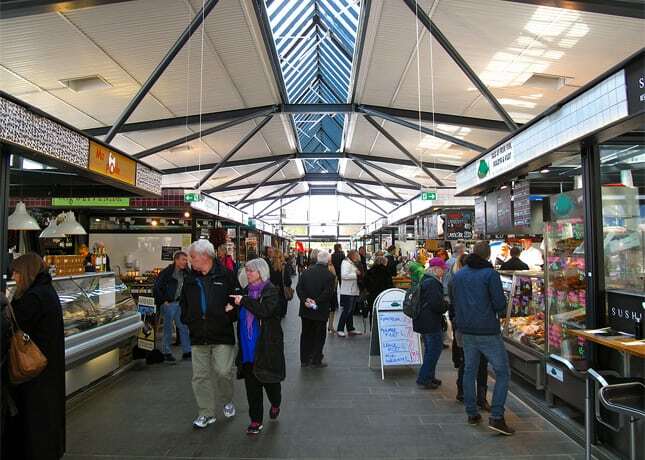 Of course, the market’s architecture is top notch and pavilions converge towards a central place where picnic tables and benches have been installed to allow customers to enjoy their gourmet finds. I left convinced that it was one of the best markets I’ve ever visited, and most of it was closed. This should tell you something. 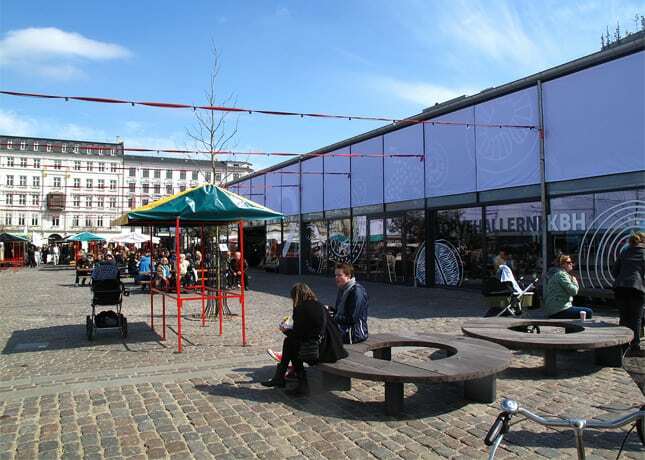 All the stores and the Torvehallerne Market are within walking distance, in Copenhagen’s city center. It’s the perfect walk for design lovers! 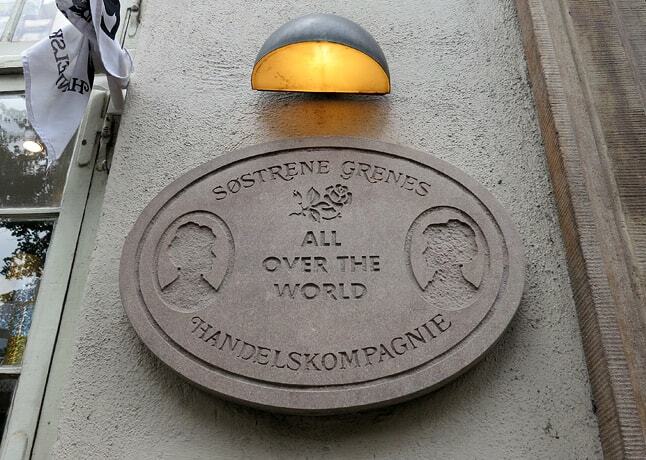 Photo credits: All photos by me, except those of the Torvehallerne Market. The first photo (exterior shot with bikes) is by Sean Ganann, and the other four photos are by Premshree Pillai. Loved this post! I just visited Copenhagen for the very first time about a month ago. I was there during the hottest week they’d had in 10 years! It couldn’t have been more beautiful. Everyone was so friendly and helpful. I’m a photographer and blogger and I have blogged about nothing else but Danish design and culture since I’ve returned. I plan to visit again this winter. It may become my new home. I was so inspired and I feel I can do some great work there. Discovered your blog through Pinterest. Keep up the great work! CPH is such a great city, I only dream of the day I’ll get to return. It sure is an inspiring place, I hope you’ll find your way there! Hello Line! I’m so happy you like my posts about Copenhagen, this is a great compliment coming from a local! When you live somewhere, it’s easy to take things for granted – even more so when you’re a native! I know I do in my hometown. I absolutely fell in love with CPH, it felt like such a dynamic and healthy place to live! I hope I’ll get the chance to visit again soon, and when I do, I will plan for some time to get out of the city and visit the rest of Denmark too.